At its most extreme, anti-abortion activism included arson. 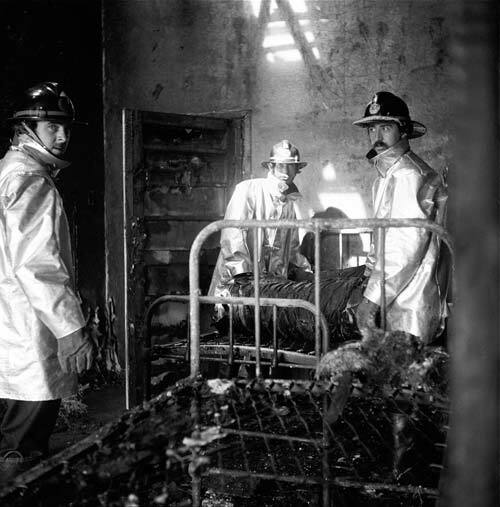 These firemen are shown in the Auckland Medical Aid Centre, an abortion clinic, after an arson attack in 1976, which caused $100,000 ($680,000 in 2009 terms) worth of damage. The Auckland office of the Sisters Overseas Service, which helped women travel to Australia for abortions, was also set alight.